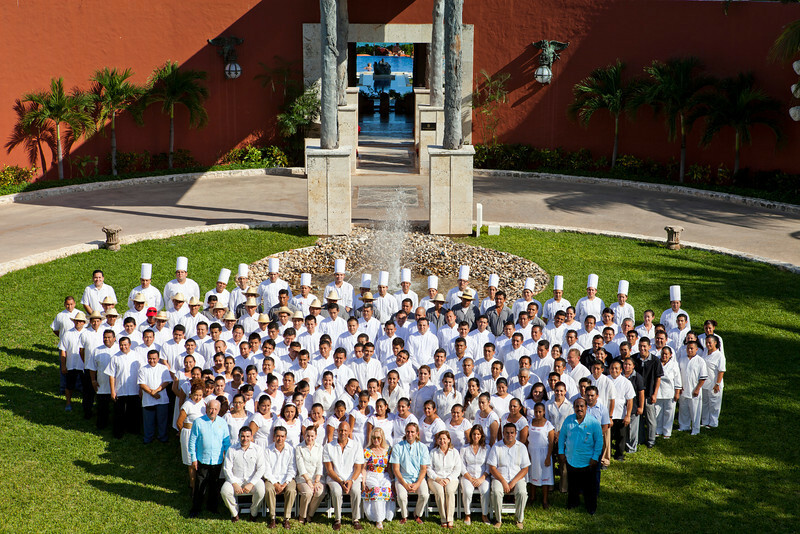 Congratulations to Zoëtry Paraiso de la Bonita Riviera Maya for earning the prestigious 2013 AAA Five-Diamond Award. This year marks the 11th consecutive year that Zoëtry Paraiso de la Bonita has garnered this honor, and it also is the longest streak for obtaining this award in Mexico’s Riviera Maya region. One of Zoëtry Paraiso de la Bonita’s differentiating features is Endless Privileges® experience, which focuses on wellness, serenity and romance experiences, as well as social and environmental responsibility. Zoëtry Paraiso de la Bonita is set on 500 yards of pristine beach. The exceptionally unique property features 90 beachfront suites decorated with hand-picked furniture from around the world and ocean view terraces; La Canoa, a AAA Four Diamond award-winning restaurant; the first certified Thalassotherapy Center in North America; and a private 48 ft. catamaran. Endless Privileges® at Zoëtry Paraiso de la Bonita provides every guest with private chauffeured airport transfers; luxurious oceanfront suites featuring private terraces; Bvlgari® bath amenities; aromatherapy pillow and linen scents, fine luxury linens and bathrobes; complimentary handmade beach bag; no check-in or check-out time (subject to availability); daily breakfast, lunch and dinner gourmet dining options with an assortment of organic food and beverage selections; complimentary cocktails and specialty beverages from a variety of domestic and international top-shelf spirits; 24-hour in-suite private dining; maid service three times each day; bottle of sparkling wine and fresh fruit basket daily; welcome bottle of Tequila; shopping tour to Puerto Morelos by boat; hydrothalasso pool and aqua gym; exclusive Visia® complexion skin analysis; complimentary international calls and concierge service; catamaran one hour sunset sail; complimentary overnight laundry service; complimentary relaxing 20 minute Thalasso experience; complimentary 20 minute wellness consultation; Temazcal ceremony every other day; access to sauna, steam room, Jacuzzi and cold plunge pool; daily afternoon tea time featuring real live plants for tea infusions; and complimentary greens fees at Grand Coral Riviera Maya Golf Course. Congratulations to Zoëtry Paraiso de la Bontia on this outstanding achievement! This entry was posted in Zoëtry Paraiso de la Bonita, Zoëtry Wellness & Spa Resorts and tagged AAA, AAA Five Diamond, Endless Privileges, Five Diamond, resort, Spa, Wellness, Zoëtry Paraiso de la Bonita, Zoëtry Wellness & Spa Resorts, Zoetry Paraiso de la Bonita Riviera Maya. Bookmark the permalink.